New Directions Publishing Corporation, 9780811219280, 772pp. Perhaps surprisingly to some of his fiction fans, Roberto Bolano touted poetry as the superior art form, able to approach an infinity in which you become infinitely small without disappearing. When asked, What makes you believe you re a better poet than a novelist? Bolano replied, The poetry makes me blush less. 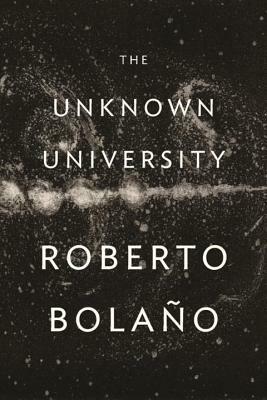 The sum of his life's work in his preferred medium, The Unknown University is a showcase of Bolano's gift for freely crossing genres, with poems written in prose, stories in verse, and flashes of writing that can hardly be categorized. Poetry, he believed, is braver than anyone.